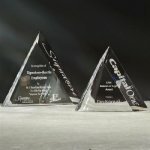 Pure K9 premium optic crystal award with a beautiful curve. A three dimensional color accented crystal is added in the front. Available in amber, blue, red, black, green and purple. 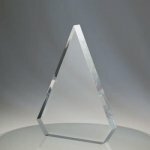 The Triangle III is a simple yet elegant freestanding award. 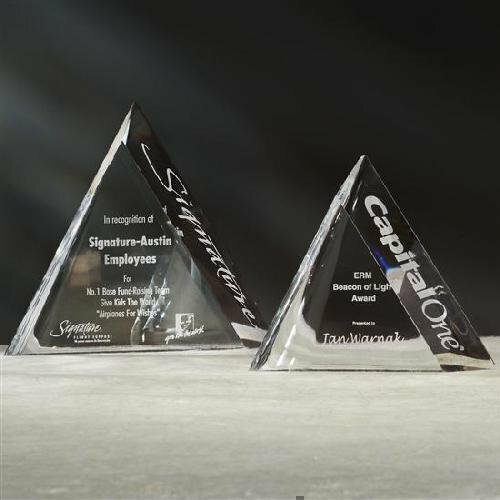 Its sloping edges enable this award to lean backward yet stay stable on a level surface. This piece can be engraved, color-filled, or adapt color printed. 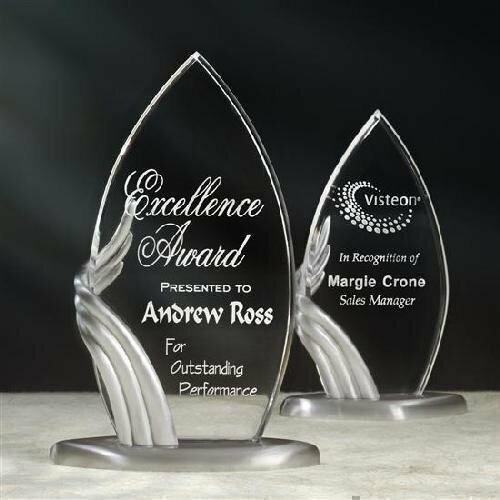 We currently offer this item in three sizes. 5-1/2" x 4-1/2" x 1-1/4"
6-1/2" x 5" x 1-1/4"